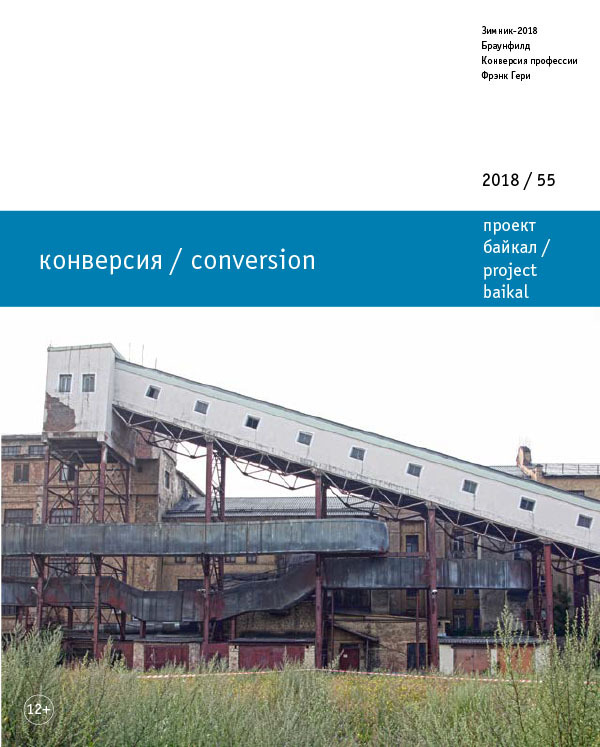 The article presents a renovation project for the territory of the former silver smelting works (match factory) in Barnaul. The history of the works is given together with the proposed concept of the museum and exhibition complex as an integral part of the tourist-recreational cluster. DERING, Alexander; BYKOV, Ivan. FABRIKAZAVOD The Renovation Concept for the Territory of the Former Silver Smelting Works in Barnaul. project baikal, Russian Federation, n. 55, p. 58-61, apr. 2018. ISSN 2309-3072. Available at: <http://projectbaikal.com/index.php/pb/article/view/1284>. Date accessed: 23 apr. 2019. doi: https://doi.org/10.7480/projectbaikal.55.1284.